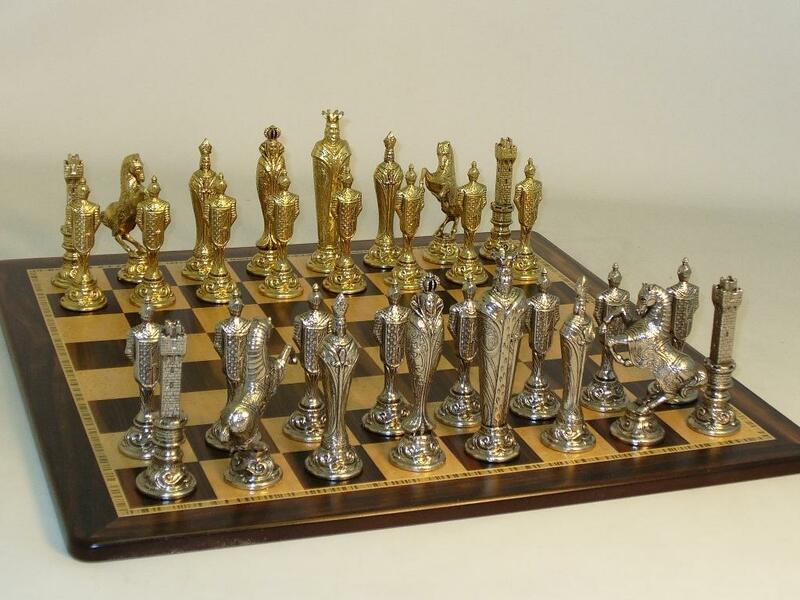 Chessmen: Italian Renaissance Nickel chessmen, King height 5.5", King base 1.5", all pieces are felted. Chess Board: 20.5" x 20.5" Ebony and birdseye maple chess board, 2.2" squares. Page P4311 Copyright © 1999-2019 GammonVillage Inc., USA. All rights reserved.